OMG Posters! » Archive "LV Cans" Art Print by Ian Millard - OMG Posters! 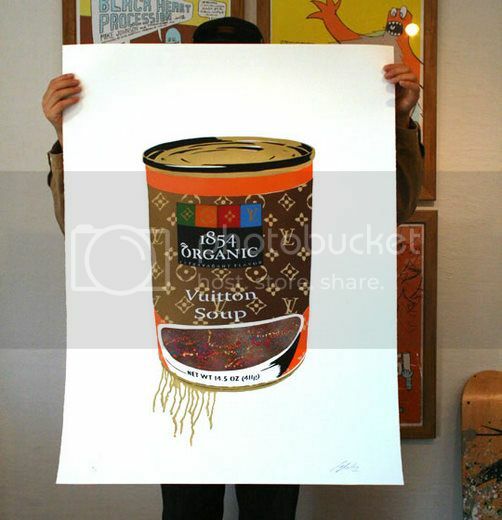 Japan’s Noise King Gallery has teamed up with Ian Millard to release his awesome new art print, “LV Cans”. It was produced using ten hand-cut stencils and spraypaint. Both the gold and silver versions are 30″ x 40″, have editions of 15, and are about $188 each. Visit NoiseKing.com.